Watching the birds that stop by for birdseed is just half the fun of backyard birdwatching. There’s even more enjoyment to be had when you provide them with convenient places to nest. A well-placed birdhouse gives you the opportunity to observe their family life, from the parents’ nest-building to feeding their young. With some luck (or a motion-activated camera), you might even see the fledglings leave the nest. There’s another, more important, reason for providing birdhouses (also called nesting boxes) in our yards. About 85 species of birds in the U.S. nest in cavities they excavate in dead or dying trees, or make use of existing openings in them. However, in cities, such trees are routinely cut down and hauled away, leaving suitable nesting options in dismally short supply. Actually, it isn’t much better outside of town — habitat destruction is already causing populations of some birds to fall. Birds are selective. There’s no one-size-fits-all birdhouse. Different birds need different dimensions and placement for their nests. They want their birdhouse to duplicate the conditions they would find in nature. Each species looks for a nesting place that fits within a relatively narrow range of specifications. First, it must resemble, at least superficially, a cavity in a tree. The size of the entrance hole plays a role, too. It must be large enough to easily enter and exit, but small enough to make them feel safe. For example, the small opening in a wren house helps to protect them from predators and keeps larger birds from taking it over. Color matters. Birds are drawn to earth tones. There are many quite lovely birdhouses on the market, some festooned with bright colors, ornamentation, and gadgets. But, it’s hard to attract birds to them, because they’re looking for “trees.” Of course, there are exceptions, but that’s the reason most birdhouses you see on the market are brown. 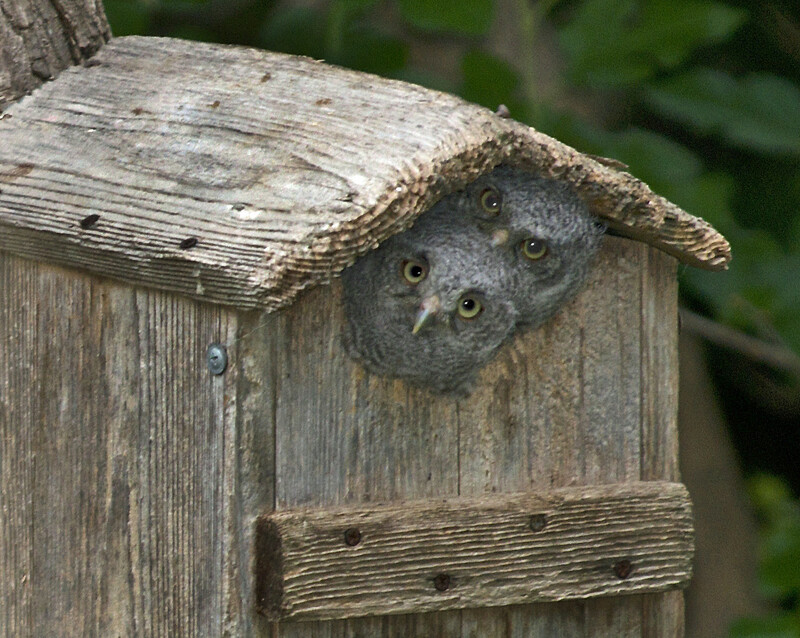 About 30 species of birds are willing to use birdhouses. Before shopping or building one, check this chart to ensure you’ll attract the bird family you want.